More than 15 years after the introduction of Euro banknotes and coins in 2002, pre-Euro money worth close to a staggering £10 Billion pounds (£9,925,600,000 GBP) is still out there somewhere, unclaimed. Many people don’t realise that banknotes and coins from most discontinued national currencies can still be redeemed for cash. This table shows the value in Pounds Sterling of unexchanged pre-Euro currency, and the deadline for the exchange of the old national currencies. The combined value of pre-Euro money that has not been exchanged is close to £10bn pounds. To put this into perspective: £10bn pounds is equivalent to the gross domestic product of a small country like Georgia or Albania. German Marks, also known as ‘Deutschmarks‘ or ‘D-marks‘, make up more than half (58%) of the value of unexchanged pre-Euro money. Fifteen years after the Mark was replaced by the Euro as Germany’s national currency, £5,770 Million pounds worth of German Marks are still unaccounted for. Deutsche mark banknotes can be exchanged for an unlimited time. This also applies to German mark coins and pfennig coins. There is still £1,530 Million pounds worth of Spanish Pesetas out there somewhere. The value of unaccounted Pesetas makes up 15% of the value of all unexchanged pre-Euro money. With Spain being a popular holiday destination, it is likely that a significant part of the unexchanged Pesetas are stored away in drawers and cookie tins abroad. Spanish Peseta banknotes and Peseta coins remain exchangeable until 31 December 2020. 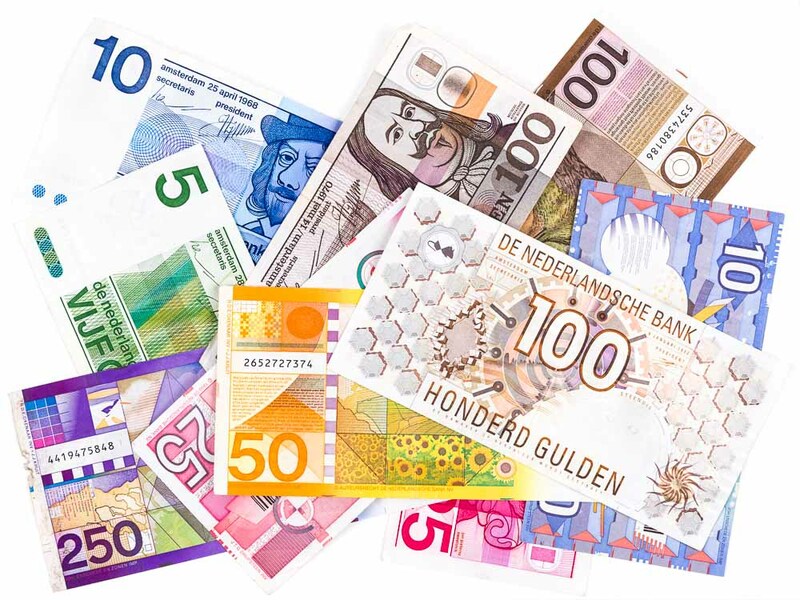 Banknotes of the old national currency of the Netherlands, the Guilder, remain exchangeable until 1 January 2032. The value of unexchanged Dutch Guilder banknotes is £893 Million pounds, which is 9% of the total value of unexchanged pre-Euro money. Dutch Guilder coins have no value now, as the exchange deadline for these was 1 January 2007. Some countries have set a time limit for the exchange of their pre-Euro money. Two of those deadlines are approaching fast. The two Commonwealth countries in the Eurozone, Cyprus and Malta, have set the deadline for the exchange of their national currency on respectively 31 December 2017 and 31 January 2018. If you visited Cyprus or Malta in the past, or if a member of your household has, it would be a good idea to check your drawers. Maltese Lira and Cypriot Pounds for a combined value of £95,300,000 GBP are still unaccounted for. The day after the exchange deadline both currencies will lose their monetary value. LeftoverCurrency.com will continue to exchange Cypriot Pound banknotes and Maltese Lira banknotes after the exchange deadline has passed. The exchange rate will be significantly lower, since it will be based on the collectable value rather than the monetary value. For some of the pre-Euro currencies, the exchange deadline has expired. This is the case for French Francs, Finnish Markkaa, Greek Drachmas and Italian Lire. There is no more monetary value in these expired currencies. Banknotes and coins worth £2,153,900,000 pounds were never exchanged. This value has been written off by the Eurozone central banks, because it is no longer possible to redeem these old national currencies for their monetary value. Banknotes and coins can be seen as a type of IOU, short for ‘I owe you’. The central bank or mint that issued banknotes is supposed to honour its promise and pay the bearer on demand for the value of the banknote or coin. The problem is that some central banks have decided to set a time limit on the exchange of old banknotes and coins. These banknotes and coins are a type of ‘I owe you until a set date’. When the deadline has passed, the central bank no longer owes the bearer anything. 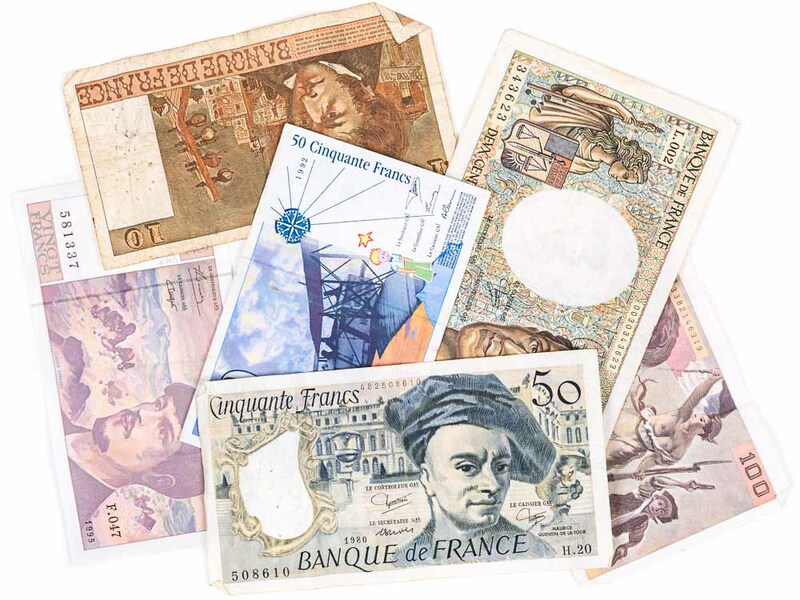 Even though the expired pre-Euro money from France, Finland, Greece and Italy no longer has a monetary value, LeftoverCurrency.com continues to exchange banknotes for these currencies. The amount paid reflects their value as collectable items. All rates can be found on the exchange rates page. A staggering £10bn pounds in pre-euro money is yet unclaimed. Check your drawers and find out if there is a central bank in Europe somewhere that still owes you some money. Leftover Currency’s simple 3-step process means that you can get cash fast for your leftover pre-Euro money. It’s quick and easy to exchange multiple currencies at once. No visits to a foreign national bank are required: Leftover Currency takes care of all the hard work. Don’t let those Eurozone central banks write off their debts. Claim what you are owed! Find those old banknotes and coins and get paid in 3 easy steps: click here to get started. 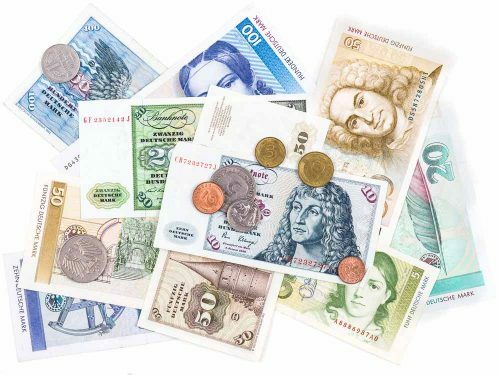 Slovak Koruna: TREND.sk – The Slovak koruna would have celebrated its birthday – but where did the coins and banknotes end up? ← Old £1 pound coins: Worthless or not?